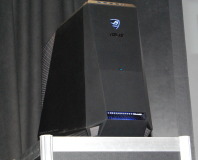 Asus' ready-built ROG system features a one-touch overclocking button and lots of goodies inside. Cooler Master is back with its latest case, the Scout. 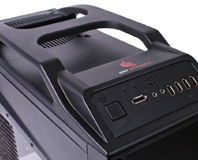 With unusual features like an in-built reinforced carry handle and peripheral security, it's built for LAN parties, but is it a quality case into the bargain? We find out. Pack your rifle, because we're off to war! From Russian developer Best Way comes this ultra-detailed and super tactical WW2 RTS, and we're reporting from the front lines to see if this Russian import could be a diamond in the rough, or just a turd in plain sight. 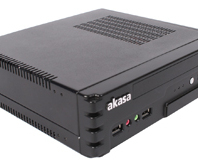 Today we're taking a look at Akasa's entry into the SFF market with the Enigma Mini-ITX case and finding out if its the ideal home for an Intel Atom based system or media centre.Do good things really come in small packages? Completed Company of Heroes? We take a look at one of the alternatives released around the same time. 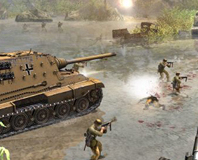 Can you handle any more World War 2 RTS action? More to the point, can you convince your soldiers not to engage in hand-to-hand combat with grenades? We don our scarves, gloves and balaclava and head off to the Lost Planet where, apparently, they have some Extreme Conditions and a nasty case of bug infestation. Time for some Capcom sponsored death and destruction. The dynamic price scheme in Counter-Strike isn't working. Valve is hoping to tackle the problem by making the pistols more balanced. We put five mice to the test to see how much bang you can really get for your buck. With Santa-time approaching, what festive rodent should you ask for in your stocking? Upon releasing Guitar Hero II, Activision decreed that the air guitar was officially dead. 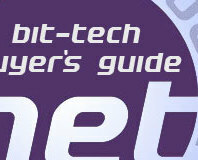 Is this the greatest party game ever, and can the bit-tech'ers make the transformation from uber-geeks to rock gods? Death and destruction reign supreme in the latest Warhammer: Dawn of War game - Dark Crusade. We put it to the test to see whether this standalone expansion should be deemed worthy of a hero's reception. The terrorists are now targeting the bright lights of Vegas and only you can stop them! We spent some time with the latest Rainbow Six game, read on for our first impressions. We've got 5 copies of two new Vivendi games Caesar IV for the PC, and 50 Cent Bulletproof for the PSP to give away. Jump in, answer the question and win yourself a copy. There have a been a few Roman city builders in recent months but the King (well Emperor) is finally back in town. Friends, Romans, Countrymen, lend me your ears (and keyboards) - I present Caesar IV. GTR 2 is a racing game so real that when you crash, you actually get whiplash. Arcade racing fans look the other way - this baby is the Flight Simulator of racing games, and is all the better for it. The best £10 you'll spend this month? Almost certainly. Defcon is an addictive multiplayer game from the guys who made Uplink and Darwinia; slick, stylish and full of death - could you ask for more? Thinking this was a 'bull-killing simulator' animal rights protesters enlisted the help of Jack Thompson to try and get it banned. It wasn't until they discovered it was actually a poorly made Max Payne clone, tasking you in the role of a rugged Spanish policeman did they finally call off legal proceedings. Joint Task Force is an RTS game set in 2008 boasting awesome graphics, big explosions and scary terrorists. Can an RTS game seriously tackle serious issues like the war on terror? Can this game really challenge Company of Heroes? All is revealed in our review. Ascaron's latest space game Darkstar One is attempting to revitalise a dying genre. We checked it out to see if it was anywhere near as good as the legendary 'Elite'.